Installed since 2015, in the department of Seine-Maritime in Etretat near Fécamp, Marie-Antoinette is a restaurant offering cuisine based on seafood. The restaurant is located in front of its own fish shop, Les Périssoires, which is established since 2014. Your restaurant owners, with a 20-year experience, prepare traditional cuisine using fresh produce and seafood, depending on availability. 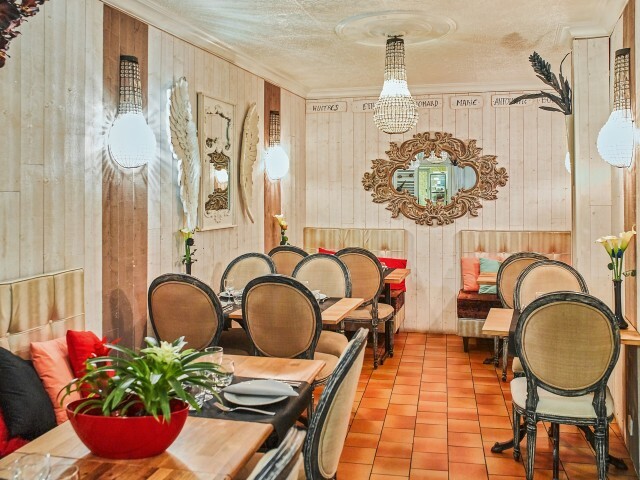 Marie-Antoinette is known for its seafood platters, carpaccios, cooked fish, fish soup, smoked salmon and fish salads. Discover the particularity of La Marie-Antoinette restaurant, which is to have its own fish shop opposite the restaurant. This feature allows customers to choose their products. For further information, you can contact the restaurant and the fishmonger, Marie-Antoinette and Les Périssoires, in Étretat (76).